IAM International President Bob Martinez is repeating his loud calls for companies to bring outsourced jobs back to North America. 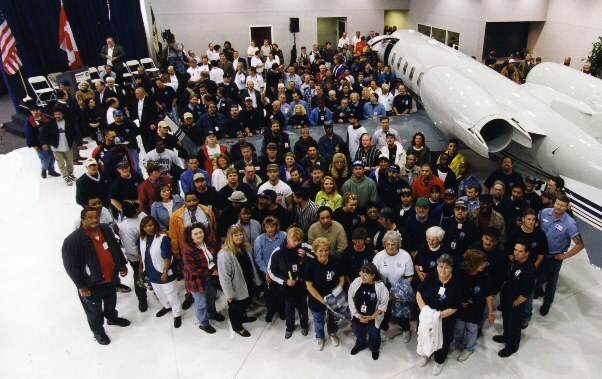 The IAM’s more than 600,000 members are highly-skilled workers who manufacture iconic products like Boeing airplanes and Harley-Davidson motorcycles. “We believe that the time is long overdue for policy makers to stand up to corporations who are all too willing to move jobs to Mexico, China or anywhere else in the world to take advantage of workers who do not enjoy fundamental human rights—like the right to form a union,” Martinez wrote to President Trump. Martinez reiterated the IAM’s stance on opposing trade policies that have cost millions of U.S. and Canadian jobs, especially failed trade agreements like NAFTA and the proposed Trans-Pacific Partnership. But a manufacturing resurgence will take more than undoing years of bad trade policy, said Martinez. “Unfortunately, IAM members have frequently been the victims of corporations sending our jobs to other countries,” said Martinez. Offshoring manufacturing—especially in the aerospace and defense industries—sacrifices critical research and development, said Martinez. Boeing plans to open a new 737 finishing center in China — “work that should be performed here at home,” said Martinez. A significant portion of work on the 737 and 787 Dreamliner is already done overseas. “Boeing’s willingness to turn its back on U.S. workers who have made the company so successful represents the business model that the President has so heavily criticized,” Martinez said before the President visited Boeing’s South Carolina manufacturing facility. Click here to read Martinez’s letter to President Trump. Click here to read Martinez’s statement regarding Boeing outsourcing. The post Martinez Tells North American Companies to Bring Jobs Home appeared first on IAMAW.